Offers air conditioning, LCD TV, safe, air conditioning, desk, heating, carpeted. This family room features a minibar, cable TV, air conditioning, safe, air conditioning, desk. 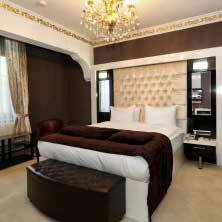 This suite has air conditioning, satellite TV, a minibar, garden view, city view, TV. 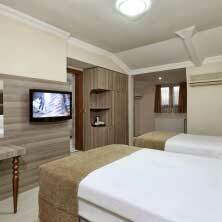 Room facilities: garden view, city view, TV, telephone, satellite channels, cable channels, flat-screen TV. This room features a cable TV, air conditioning, a minibar, safe, air conditioning, desk. 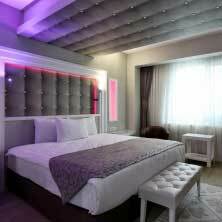 Seckin Hotel is an Adapazari Hotel that situated in Turkey’s Marmara Region, 4 km from Adapazarı’s centre. It offers daily buffet breakfast, Free Wi-Fi and free parking. 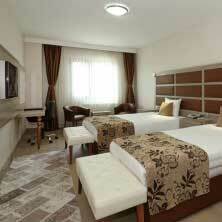 Swimming Pool, Turkish Bath, Steam Room, Fitness Centre and Sauna are available. Turkish and international cuisines are served at Hotel Seckin’s a la carte restaurant. Room service is also available. With a fascinating and luxurious design, Seçkin Hotel Ball Room and Seçkin Garden offer elegant cocktail parties and delicious wedding dinners. Rooms are offered with LCD TV, Electronic Key Lock System, Wired – Wireless Internet, Safety Box for Laptop Computer, Central Heating System, Air conditioning, Hairdryer, Shaving / Make-up Mirror, Direct dial phone, Bathroom telephone, Peephole, Fire and Security Systems, Mini Bar, Satellite TV, Quilt and Pillow Menu, Tea – Coffee Tray.